Europe had started the solar energy revolution with high feed-in tariffs allowing the industry to attain scale and reduce costs. However, as large capacities got built in major countries such as Spain and Germany, solar energy capacity growth has declined in the recent year even as the global growth rates have increased in the high double digits. Europe has been eclipsed by India, China and the USA which are installing 10 GW or more capacity each year. Germany which used to install more than 50% of the global new capacity is down to less than 3% this year. Non-existent overall energy demand growth and saturation in solar capacities besides low feed-in tariffs are some of the reasons behind falling solar capacity growth in Europe. However, with solar energy becoming cheaper than fossil fuel, the unsubsidized solar segment has started picking up the pace in Europe. Portugal recently saw large solar plants being announced without any subsidies. Spain is another country with high solar insolation which could see large solar capacities again being installed if regulations against self-consumption of solar energy are made easier. Germany also saw very low bids in a recent large-scale solar auction. Solar energy prices have dipped to the 2-5 cents/kWh range in a number of countries making it cheaper than coal. While China and India are using auctions to build solar energy capacities, Europe is selling power in the wholesale markets to build capacities. 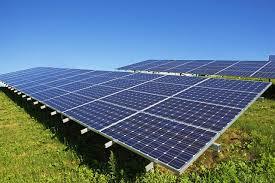 The growth in solar energy in Europe will not be very large given that the demand for power is not growing. However, it will keep replacing fossil fuel sources going forward. As coal plants end their lives, solar as well as wind energy will be used as replacement capacities.